This story started here with an overview of David's studio and the project we embarked upon together. Because David needed to keep working while reorganization was under way, we selected our tasks based on areas of his studio not being used much by the current task at hand. We identified the back storage corner as the first area to tackle. We figured that organizing this space would help free up some center floor space to allow additional moves. The back corner had become a no man's land. This corner is a storage area. 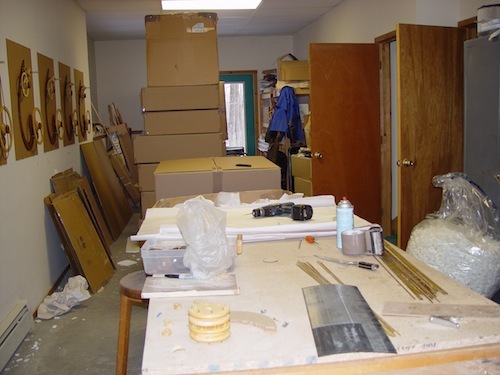 David stores boxed sculptures, supplies for new sculptures, packing supplies and the generator in this corner. Much of it is either very large or awkward in shape. I recommended building shelving units designed to fit boxes in two layers. The advantage of this would be easier access plus maximizing space. It always seemed we needed the box at the bottom of the pile in his original storage stack. With this plan, David has direct access to any box. 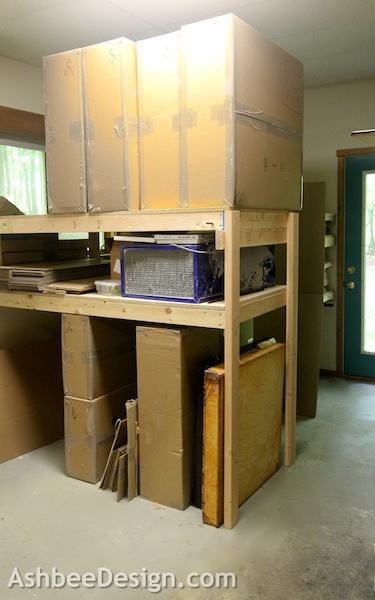 Once we laid out the space, we realized two layers of boxes would fit plus an added smaller shelf for odd items. 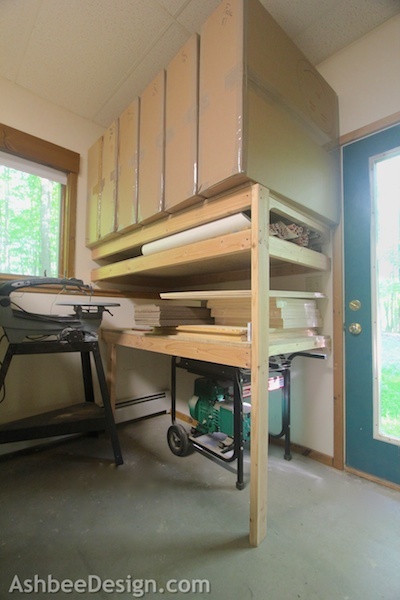 This is a workshop so the shelving units were constructed simply out of 2x4s and plywood. The result is strong and functional. David built two storage units in this corner. The back one includes a "garage" for our generator. The generator is wheeled outside when we have power outages (all too frequently!) and allows work to continue. Between uses it is stored inside and previously, all the air space above it was wasted space. With the new shelving system it now is accessible, customized storage. The space was designed to fit the specific shapes of the things David needs to store - his boxed sculptures, the generator, and supplies. Anything leftover was considered a bonus, and occupied as we rearranged the rest of the shop. He stocks a large variety of dowels, shafts and other rods. 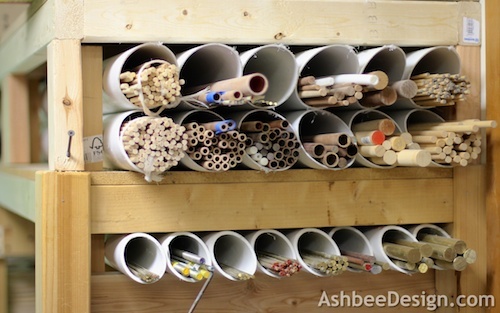 Using PVC, we created organized storage for all of that paraphernalia. 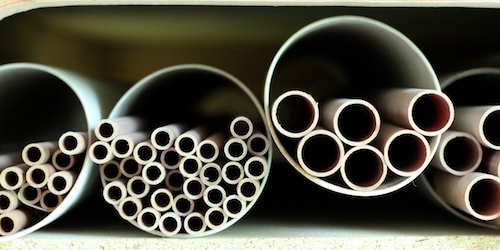 We separated it all, estimated maximum space required for when he purchases a new batch, and purchased a variety of PVC piping for the different volumes needed. End result is very organized and congregates a variety of different storage systems that had previously been scattered through out the shop into one clean, organized area. This back corner was upgraded several months ago and the new arrangement is a huge improvement. We then moved on to workbench moving. I'll continue with other areas of the shop in future posts, so stop back frequently.